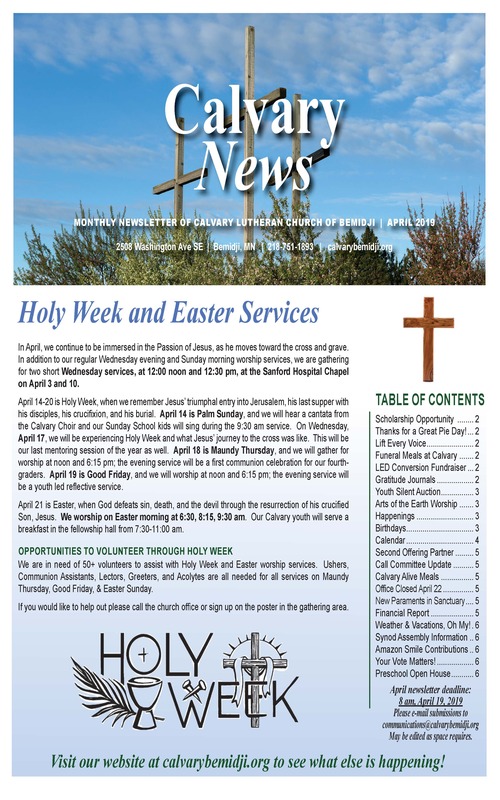 Calvary Lutheran Church sends a weekly E-newsletter via email and monthly newsletter containing event & calendar information, prayers, news, volunteer opportunities, and much more! 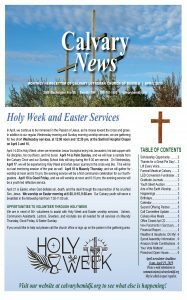 Please click here to sign up to receive our e-news! 8:15am Traditional & 9:30am Contemporary – All Are Welcome! Check us out on FB and Twitter!